Applying sunscreen daily will keep your skin from becoming wrinkled and damaged. Where do I start! What are some things that I can do to get my skin on the path to healthy, glowing and youthful looking skin? This is a question I’m often asked by guests attending a party or clients visiting the salon. Here are some basic tips I give to get them started. Find a skin care regimen that works for you and use it daily. Unfortunately, there is no one-size-fits-all skin care product. Visiting a skin care professional before you embark on a skin care product search will help to determine the best products for you. Knowing your skin type and what may be causing any problems (if one exists) can save you time and money in the long-run. 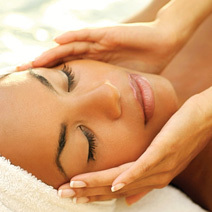 Avoiding stress is not only good for your health, but it is good for the health of your skin. Stress is known to further aggravate the skin and may trigger unexpected flare-ups. When a person is stressed, their hormone levels increase. This increase creates a rise in the oil production which later causes acne and other related problems. Getting facials regularly and enjoying other relaxing activities can help reduce stress and keep your hormone levels nice and balanced…. so INDULGE! As stated before this is only the beginning…..a start. Skin care health goes a long way, but with patience and persistence, you will see rewards that are endless! Shequana Hughes is a licensed estheticain and owner of Changing Faces On The Go.